Moving into 2018, 75% of CEO’s of global 2000 companies have digital transformation as the centre focus of their corporate strategy. Having that shift in your business means that you are giving yourself, and your employees the chance to access better data, and better ways to process this data because the technology you are using are more advanced, and up-to-date. To give you a better understanding of what this looks like, here are my 7 business models of digital disruption and examples of brands who have embraced the revolution. 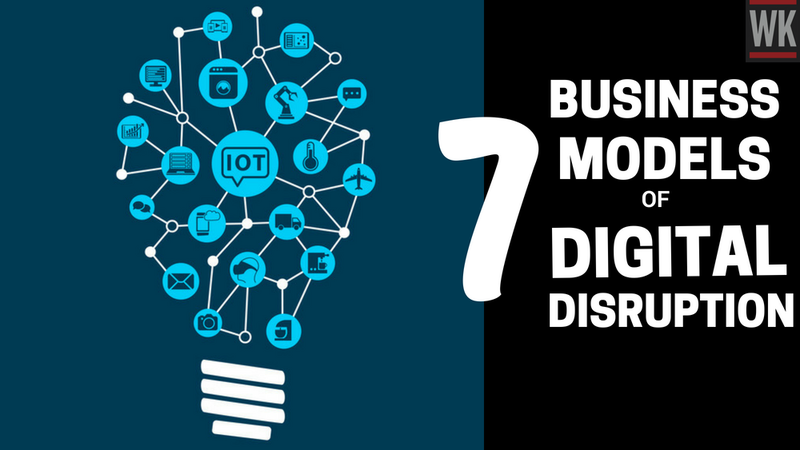 Now that you, as a CEO can see my 7 business models of digital disruption, it is imperative to also understand changes that are currently happening so that you can be ahead-of-the-curve. understanding how profitable each customer is, and developing a business model to facilitate individuality. taking your business and expanding into new industries and markets. taking the way products and services are designed, and delivered and taking the digital approach to serve more customers online. Original article by Paul Marsden from Digital Intelligence Today, who I had the pleasure of meeting for brunch in London a few years ago talks about there being 10 Business Models of Digital Disruption (and how to respond to them).